This post is sponsored by Blue Diamond Almonds. All opinions are my own. Blue Diamond Almonds has a new Bold Sriracha Flavor! I like my food on the spicy side. I am always adding Sriracha to rice, meats, soups, seriously, almost everything. I can't lie, I was excited to try the new Sriracha Almonds. The Blue Diamond Almonds, Bold Sriracha were full of flavors, savory, and spicy. I decided to use them a few ways while making Sriracha Almond Stuffed Peppers. First I had fun using my nutribullet to shred the Sriracha Almonds into a course powder. It doesn't have to be perfect, I wanted some of the bigger pieces for on top the Cheese, and I wanted the smaller pieces for when I fried the Sausage/Peppers/Onions together. Prepped the Green peppers, cut off the tops, deseeded, and boiled my Green Peppers in water for a few minutes, just enough to cook through a little, Drained the water, and put the peppers in a baking dish. Fried the Sausage (Drained twice. I use HOT Breakfast Sausage, and dont like a lot of grease.) I then refried the Sausage with the cut up green pepper from the top, cubed red onions, and then some of the course Blue Diamond Sriracha Almonds. Let me tell you, it smelled amazing together. 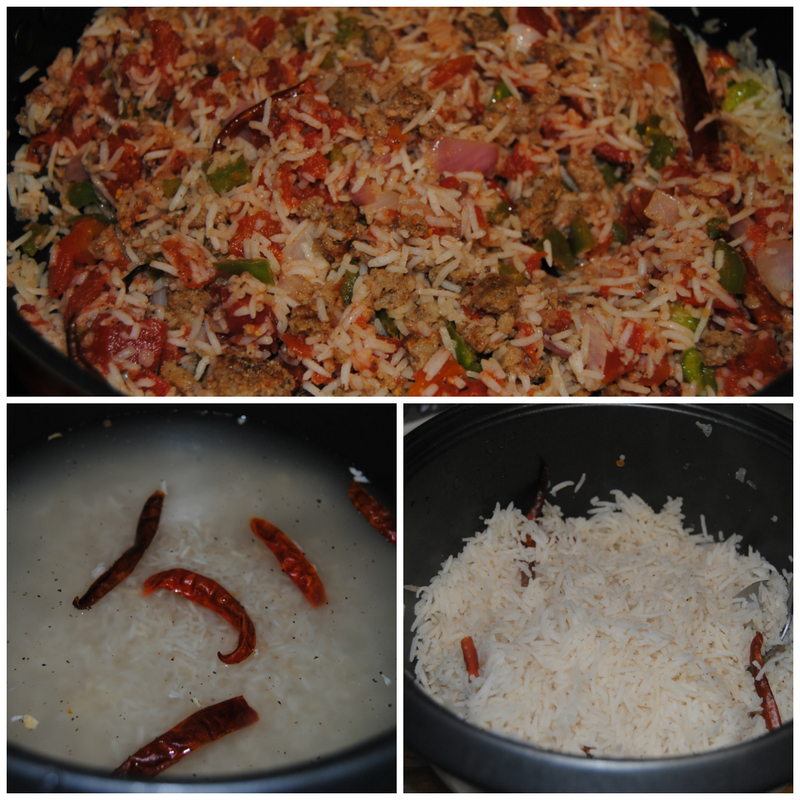 The Rice should be done now, I then add the rice to the Almond/Sausage/Pepper/Onion Mix in the pan. 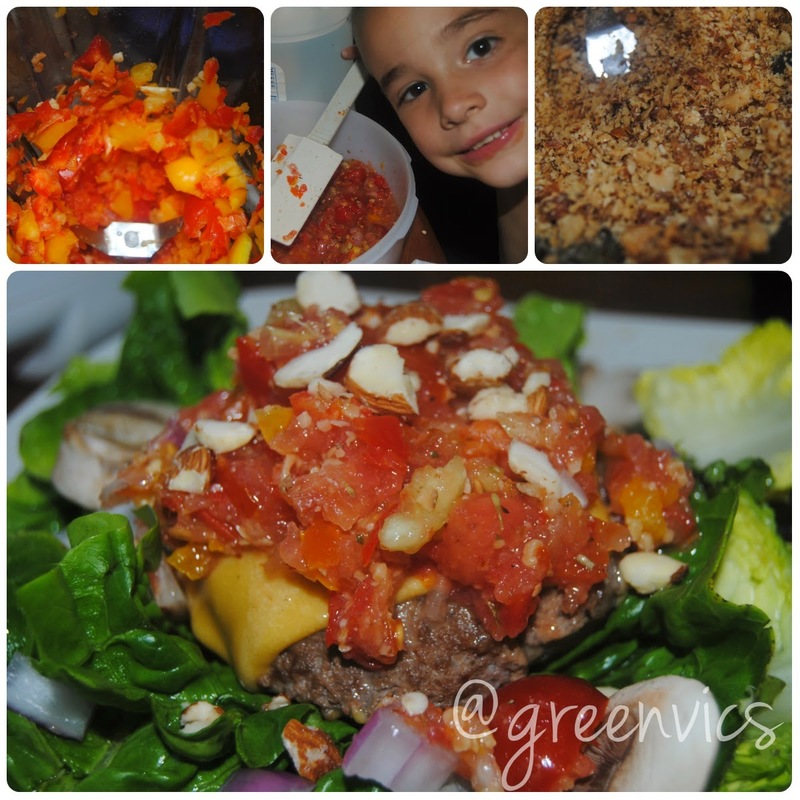 Also add a cup of Fire Roasted Tomatoes. Now, you stuff the Peppers with the Rice Mix. I also like to add some cheese in the bottom of the Green Pepper before adding the Rice Mix. When the Pepper is packed, I put it in the Oven to bake for 10 minutes. Then I add the Cheese on top while baking, and turn the Oven off. It melts super fast. After taking the Peppers out the oven, I sprinkled some of the Blue Diamond Sriracha Almonds on top, and placed a whole almond on the cheese as a treat too. 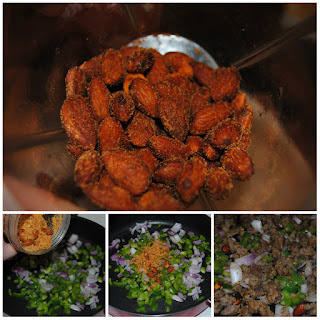 I think there are so many ways to incorporate Blue Diamond Almonds into a meal. Labels: Blue Diamond Bold Sriracha Almond Recipes, Easy Recipe, Gluten Free Recipes, Recipe, Sriracha, Sriracha Almond Stuffed Peppers.